We sat down with Alan Baker, co-founder of our sales partner Aston Sales of Kensington to get his take on the Aston Martin market. We will be frequently sitting down with Alan to get his view on what’s selling and what people are looking for in the market and a few of his top tips for the coming months and years. How would you describe the Aston Martin market today? 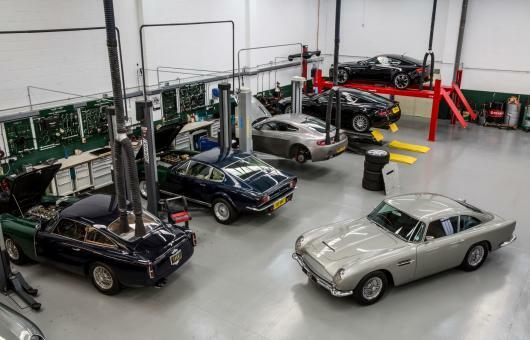 As ever, there is always a very strong market for extreme quality in the Aston world, which ASK prides itself in dealing in. Quite simply, the very best cars will always be extremely sought after. What models are in high demand in the AM market currently? Cars of extreme quality are always in high demand, with discerning collectors always waiting for the very best cars to become available. Late Newport Pagnell cars remain in demand, however only if they are beautifully presented examples with exceptional provenance and ideal specification. 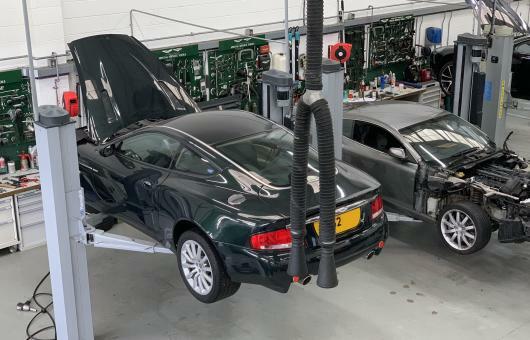 The DB7 Zagato is a model that we have experienced high demand for recently, especially after we supplied an exceptional 2,000-miles example a few months ago. We could have sold that car several times over and being an individually numbered and low production variant of the iconic DB7, they are sure to have a great future. We have also seen a recent increase in demand for the last of the Newport Pagnell ‘hand-crafted’ models, mainly being the V8 Coupe and the V8 Vantage twin-supercharged. Not only were these models the last of their type, they were also produced in very limited numbers, with exceptional examples now extremely sought after. What sort of cars are you looking for stock at ASK? At ASK we are only looking for vehicles of high quality supported by the finest provenance. 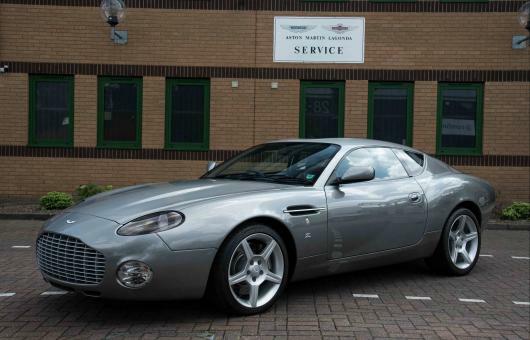 In addition to exceptional late Newport Pagnell cars, we are also looking for superior quality examples of the Gaydon DBS and last of the ‘hand-crafted’ cars, such as the V8 Coupe and V8 Vantage V550. 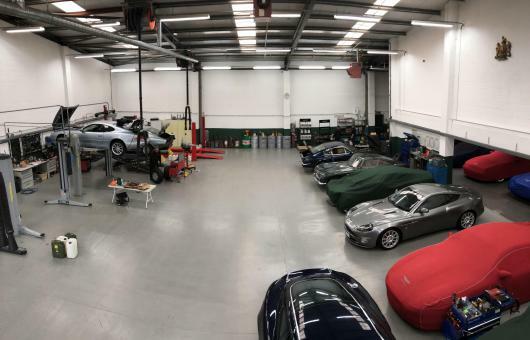 We tend to find that most vehicles we bring into stock are currently maintained by ASL or have been looked after by them in the past, as this gives us the assurance over condition and maintenance history. What are the most interesting cars you have sold recently? 2018 has been a very busy year at Aston Sales of Kensington with several exceptional cars being supplied to their new owners over the past few months. Most recently, we have just supplied a beautiful DBS Carbon Edition with exceptional servicing history at Aston Service London and extremely low mileage. We have also recently handed over a beautiful DB7 i6 in the most desirable specification of Galloway Green over Parchment hide with a manual transmission. Another magnificent car we were fortunate to sell recently was a Vanquish S Ultimate; 1 of just 50 cars produced and the last model to be produced at the history Newport Pagnell factory. These are now finding their way into the finest collections; one of the all-time great Aston Martins. What are the cars to watch over the next 12 months? Over the next 12 months I would keep a close eye on superior quality and rare variants of the Gaydon DBS, specifically the Carbon Black, Carbon Edition and Ultimate. I also strongly feel that exceptional examples of the Newport Pagnell Vanquish will also only continue to become more desirable and valuable if they have the correct specification and provenance. With the launch of the new Vantage, I also think we will see an increase in demand for late V12 Vantages; they will soon be recognised as the last of the naturally-aspirated V12s and I expect the very best examples to have a strong future.